In a strategic effort to get ahead of the game, it’s always a good idea to think about your SEO strategy in advance. A shortcut for developing a successful plan of action is taking the time to get to know some of the predicted SEO trends for the year ahead. Thankfully, we’ve done that for you! 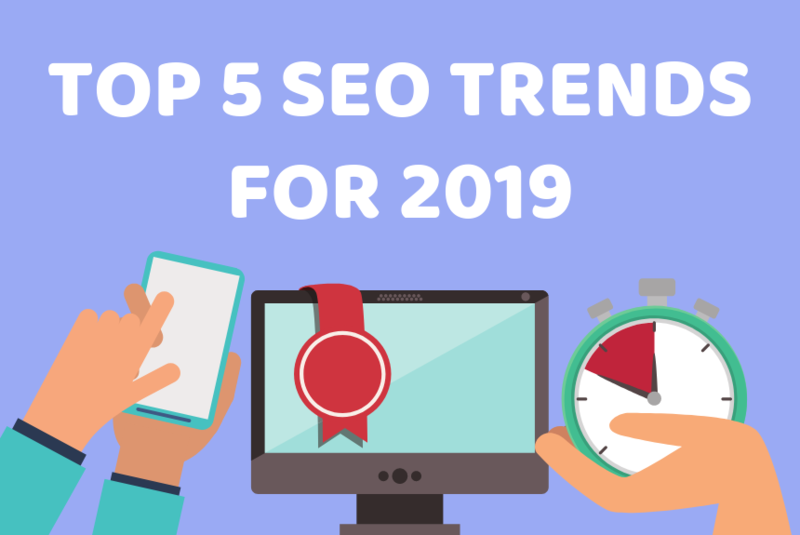 We’ve put together a list of the Top 5 Predicted SEO Trends for 2019, including the continued prevalence of mobile, the importance of load speed and the rise of non-Google game-changers. As we saw in 2018, mobile-first indexing has become particularly prevalent in the world of SEO. To put it simply, mobile-first indexing means that Google uses the mobile version of your page for indexing and ranking, rather than the desktop version. The process of migrating sites to mobile-first indexing began in March 2018, and was the starting point of best practice shifts within digital marketing everywhere. While mobile-first indexing was a big deal in SEO throughout 2018, we saw little change in the way most SEO experts did their jobs. Most continued working within their usual processes and focusing primarily on desktop, with consequences being gradual rather than immediate. What we can predict going forward, is that the importance of optimising sites for mobile first will not become any less important. Website owners who focus on mobile friendliness, including responsive design, mobile load time and content structure, can expect to perform ahead those who don’t in SERPs. As we’ve reported before, the internet today is all about speed. Over 50% of visitors to a website expect a page to completely load within two seconds. The importance of a fast responding website is undoubtable with the expectations of today’s internet users. There have been a number of notable SEO events over the past year which has suggested that the importance of having a fast loading website, will remain high going into 2019. Desktop page loading time has been a known SEO ranking factor for a while now. Midway through 2018, it was joined by the introduction of mobile page speed as an additional ranking factor. This stand out change, which was marked by the July ‘Speed Update’, is a dead giveaway for the importance of page speed evaluation in the coming year. Prior to 2018, websites analyzed in Google PageSpeed Insights were evaluated on the basis of only a few technical parameters. However now, both desktop and mobile versions of websites are graded according to two parameters, Optimization, and Speed. The introduction of the Speed metric is what has changed the page speed game for SEOs. The data is generated from the Chrome User Experience Report, a real user performance database. 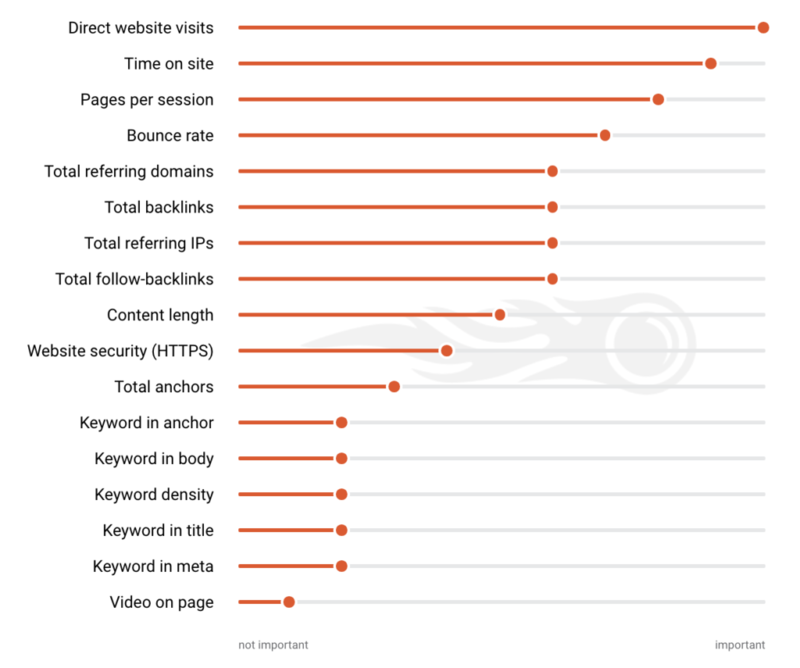 This report reflects how your site loads for each visitor. What this means for SEO in 2019, is that correlations between page speed and ranking are predicted to change. Addressing the technical limitations of our websites will impact the Optimization metric in the page speed tests. However, addressing the new speed metric isn’t fine-tuned or widely understood at this stage, something to prepare for over the coming year. As business owners, we should all care deeply about the reputations of our brands. Our reputation is not necessarily about popularity, although that definitely helps, it is about how your business is perceived by those who do experience it – particularly, on the internet. The digital trustworthiness of your brand has a tangible impact on the way Google decides to display your website pages within SERPS. A long-standing SEO method for gaining the trust of Google is through strategic backlinking. Backlinking refers to when external websites link to yours, as an essential ‘vote’ for its legitimacy. This method remains important, however, for those who are newer on the scene, can be difficult to achieve results from. The good news is, that many sources, including the recent SEMrush analysis, shows that the influence of backlinks are still important, but are being surpassed by other factors. The main factor uncovered, is direct website visits. People head to the websites of brands they know to be reliable sources of what they need. And so, it’s important to get your branding and business name circulating in places where potential browsers’ eyes lay. The more direct traffic landing on your site, the higher up the ranks you can climb. An alternative to backlinking as a way to build your brand image is to increase the mentions of your name across the web. This could be through forum posts, public discussions pages, and social media channels, for example. With the popularity of voice-controlled technology such as Google Assistant and Amazon Echo, it is predicted that about 30% of searches will be done without a screen by 2020. The prevalence of voice search has been relevant within SEO for some time now, however, only continues to grow more impactful as time goes on. This constant growth is likely a result of the ongoing developments and data gathering that comes along with such new technology. We don’t predict that the impact of voice search on SEO will slow down in 2019, but rather continue to develop. Studies conducted throughout 2018 revealed that voice-controlled searches typically pull responses from the websites ranking highest on SERPs, and even more so from ones that are sitting in the newly coined featured snippet “0th” position. In conjunction with this, finding a way to write out a question and answer within your content (other than simply using FAQs), is also favoured by voice search systems. In 2019, website owners should be attempting to optimise their content for voice search. This may mean adjusting target keywords to reflect human speaking, adopting heavier use of long-tail keywords, clearly sorting content using accurate heading hierarchies and even including direct questions within written content. Is 2019 the year that Amazon and Apple threaten Google’s search dominance? According to Eli Schwartz, director of SEO and growth for SurveyMonkey, this is the case. After all, Search Engine Optimisation isn’t just about getting that first blue link, it’s about showing up wherever and however people are searching. So in the year going forward, it might be a good idea to start learning how to drive traffic and engagement from platforms other than simply Google SERPs. As reported by Search Engine Journal, international digital director for Ringier AG Jes Scholz, we need to “think beyond driving users to your website by ranking number 1 in the SERPs. How can you get visibility for your content in featured snippets and thus conversational interfaces, with hosted articles, with content aggregators and other such opportunities to ensure your brand reaches your target audience?”. These are just a few of the many trends and changes that wait ahead in another year of digital marketing. What are your predictions for the SEO landscape in the year ahead? Let us know!